Small kitchens, like small houses, seems to be trending lately. Millennials are drawn to them for their minimalistic feel and affordability. Gen-Xers like them for their organic approach to living, and Baby Boomers seek ways to downsize while keeping their most prized possessions close at hand. No matter which demographic you relate to, your small kitchen renovation project must be carefully designed to cater to your needs and fit your personality. Typically 70 square feet or less, your small kitchen should offer an opportunity to improve ergonomics, save energy, and include those special features you’ve always wanted but couldn’t afford in a larger kitchen. The kitchen, regardless of size, is usually the main gathering place in the household. It collects clutter and can easily become a catch-all for everything from coats and shoes to small appliances and gadgets. Before you start your small kitchen renovation, you’ll need to purge all those non-essential items. Keep the bare necessities and toss out, recycle or store those utensils, knick knacks, and small appliances you can live without. 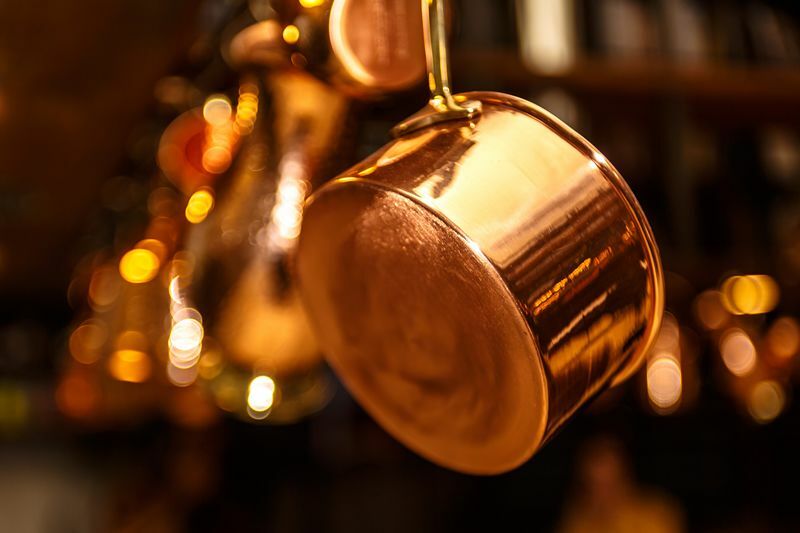 Now that your kitchen “stuff” is more manageable, you’ll want to decide if you want to tackle this project yourself or have the help of a professional remodeling company. The experts at KP Construction can provide a streamlined small kitchen layout with all the elements you desire. Their 3D visualization technology will provide a clear plan with detailed schematics before the work begins. This method allows you to see a photo-realistic image of your design and make adjustments without costly tear-outs. You may be wondering how to fit everything you need into a very small space. Here are 7 big renovation ideas that will simplify the process and help you create the perfect heart of your household. A galley kitchen layout is popular for small spaces. It ranges from four to six feet wide and generally splits the room into two defined work areas parallel to each other with a floor space between. The compact floor plan is ideal for space utilization, functionality, and design. While countertop space might be limited, everything is close at hand for maximum efficiency. In some cases rearranging the appliances and other kitchen equipment can win more space. Galley kitchens often locate the sink and refrigerator on one side of the room and the stove and oven on the opposite wall. Consider smaller-sized appliances and a standard sink to maximize workspace. Light-coloured painted surfaces for both cabinets and walls will give the room an airy feel. It’s recommended the flooring to be also light in colour and run vertically like hardwood planks or diagonal-placed tiles that will create depth and make the room seem larger. Incorporate a window above the sink, if possible, to illuminate the room with natural light. A view of the outdoors will give the illusion of spaciousness and a make the room bright and cheery. Using an L-shaped or U-shaped countertop configuration in a small kitchen provides flexibility and efficiency. The L-shape is created by positioning perpendicular countertops on two adjoining walls—forming an “L.” The U-shaped layout adds another counter at the other end. Either layout provides significant counter space over the galley style so full-size appliances shouldn’t be a problem. A low-rise breakfast bar (as an island or peninsula) can be added for mealtime seating and still keep a clear sightline to the adjoining rooms. Once again, light cabinet finishes, under-cabinet lighting and a colourful backsplash will help functionality and make the space appear larger. Think about including an upgraded granite or natural quartz countertop to your design. With a smaller countertop requirement, these upgrades may finally fit into your reno budget. With countertop real estate being in short supply, you’ll want to squeeze every possible inch out of your room. A one-wall kitchen with space-saving appliances and components may be the solution. Plan out the most efficient design by placing the dishwasher next to the sink. New sink designs include a double-bowl style with the washing side to the left and a smaller disposal area to the right. Attach a wall-mounted faucet, under-counter fridge with freezer drawers, and floor-to-ceiling cabinets to take advantage of the full area. Another idea incorporates a cooktop, vented hood, seating area, storage, and sink all-in-one kitchen island. Align a stylish, slim-line refrigerator, built-in oven/microwave oven combo, and dishwasher drawer, and you’ll wonder why you ever wanted a larger kitchen. Cabinetry has also come a long way with amazing extras that tackle the limited-space market with ease. Gain counter and floor space with options like plate wall rack, knife rack pull-down, trash receptacle drawer, pull-out pantry, deep-drawer storage for pots and pans, utensil and spice rack inserts, and even a folding stepladder used to reach high cabinets and hides behind the toe kick when not in use. The possibilities are endless. Narrow, filler pullouts with adjustable shelves—available in different base and pantry cabinet sizes. Perfect for bottles, spices, canned goods, boxed goods, small appliances, baking sheets, canister sets, and other slim items. Undersink pullout—great for storing cleaning products. Some come with a removable caddy and handle to carry all your supplies with you while you clean. Pot rack—to free up cabinet space, consider a ceiling-mounted rack to hang all your pots. Some have integrated light fixtures so you can hang it over a work island or dining area without obstructing light. Open storage—shelving adds an aesthetic appeal while doubling as space-saving storage area for everything from cereal bowls, coffee cups, water glasses, dishes, books, and decorative knick knacks. They can be wall hung or incorporated into wall or island cabinets to keep your countertops neat and clean for food preparation. Wire racks—these are an inexpensive option for maximizing cabinet space. They come in a variety of widths and heights so items of varying sizes and configurations can all neatly fit within the same cabinet. What small kitchens lack in square footage and floor space, they can make up in vertical appeal. Floor-to-ceiling slab cabinets work well in small areas because of their streamlined finish. In addition, they reduce clutter by providing lots of extra storage space. If you’re feeling a little overwhelmed with the lack of open wall space, install recessed lighting and open shelving above the cabinets. Here you’ll have a place for decorative collectibles or mesh baskets for extra storage without feeling closed in. Open wall shelves are great for moving items up and out of the way. Add some wire stackable shelves on top for even more storage space without making it feel crowded. Hang long, narrow pendant lights over your island or table. This will draw the eye to the vertical line from ceiling to floor while adding a decorative, chic appearance. Your professional designer will understand the importance of incorporating a time-saving work triangle into your small kitchen renovation project. By connecting three main work areas – the sink, the stove, and the refrigerator – and maintaining distance between work centres of no less than 4 feet and no larger than 9 feet, you’ll expend the optimum energy during meal prep. Use smaller floor tiles that will help make room appear larger. Grout of the same or nearly the same colour as a tile will also increase the visual expanse of a floor. Use mirrored glass on cabinet doors to make the most of the deep reflective properties. Select glossy finishes on the backsplashes combined with under-cabinet lighting to enhance the reflective properties. 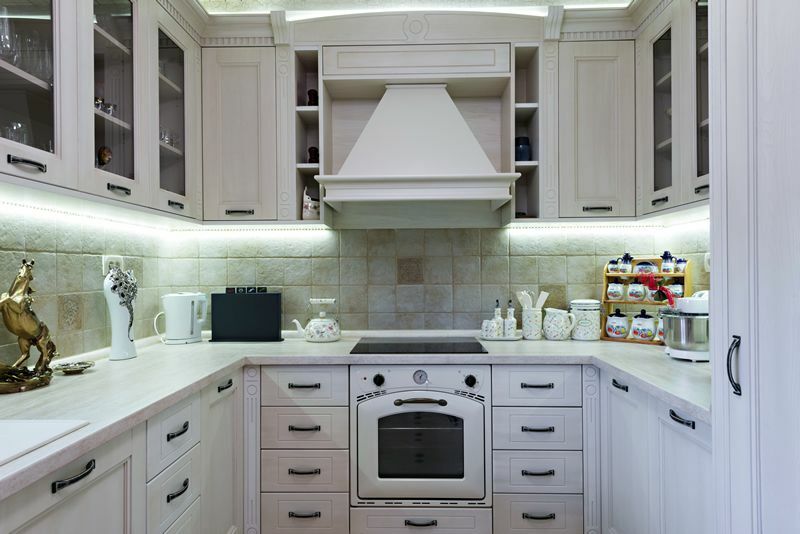 Include white or light-coloured cabinets to increase ambient light. Add a window to let in as much natural light as possible. If that’s not possible, consider creating a pass-thru to another room so extra light can penetrate your small space. Keep countertops clear to maintain an open feel. Instead, store away unneeded items in a cabinet or on open shelving above. 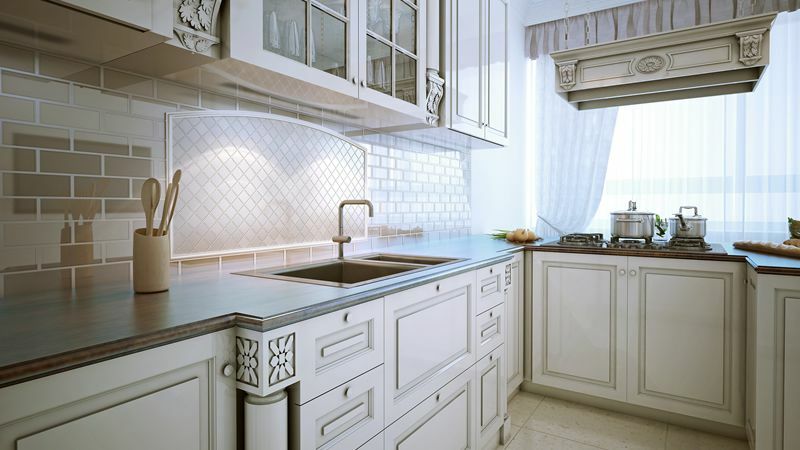 The above guidelines for renovating your small kitchen might help you to improve efficiency, save time and money, all while staying on the cutting-edge of today’s trends. Don’t worry that your limited floor space will take anything away from the most important room in your house. With careful planning and creativity, your small kitchen renovation will provide big rewards. If you’re ready to take the next step toward designing your small kitchen renovation, contact KP Construction to schedule a free, no-obligation evaluation. Need Help Designing and Building Cozy and Functional Small Kitchen? Our experts will guide you through every stage of kitchen design, planning and building.